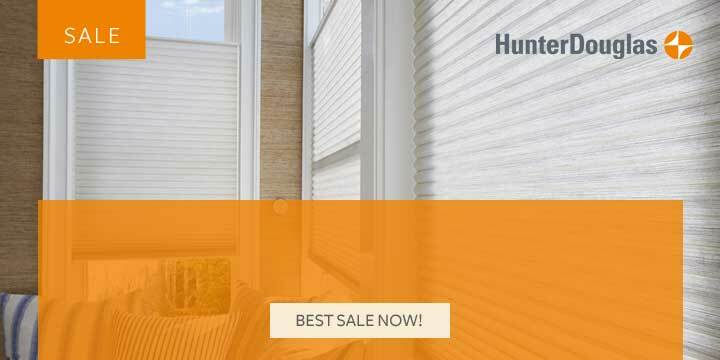 Duette Hunter Douglas Sale on Blinds and Shades. 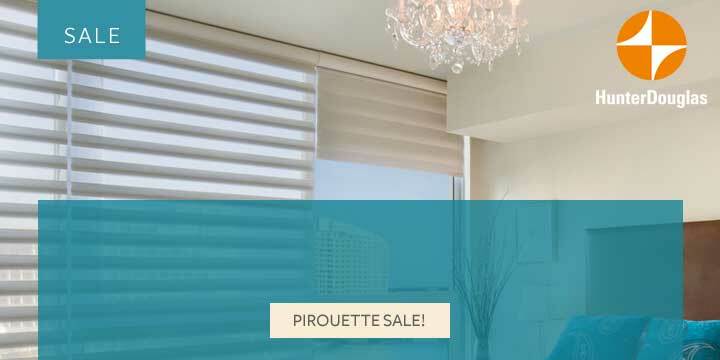 Best Pirouette Sale Prices in Calgary! Modern alternative look and feel of traditional fabric shades. Looking to give your home some extra flare with child safe shutters? Select the most durable and pet friendly window covering on the market. On a Budget for Blinds? Get More, Spend Less. Find out all the details. Let our Calgary Window Covering Experts answer all your questions, on blinds, shutters, Curtains and draperies. A Hunter Douglas Calgary NW window covering showroom. We offer competitive prices for window coverings and curtains, without compromising service. In order to make decorating affordable to all, we carry lower priced brands to a full collection of Hunter Douglas blinds and shades. People are concerned about the process in which to buy window coverings when they purchase or renovate a home. The best option when purchasing window treatments is being able to see larger working blinds, curtains, shades or shutters in our Certified Calgary Hunter Douglas Store. At our Hunter Douglas storefront location in NW Calgary, you can see a variety of blinds, shades and shutters. 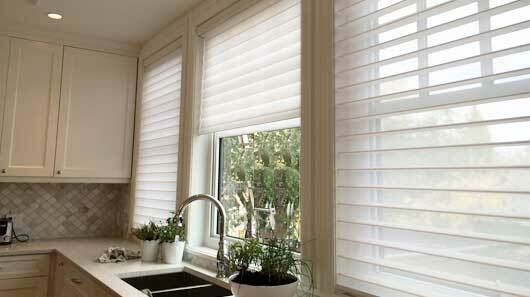 Select from a number of manufacturers including Hunter Douglas, Shade-O-Matic, Comfortex Window Fashions, Maxxmar, Graber and more. We offer a variety of products and services. 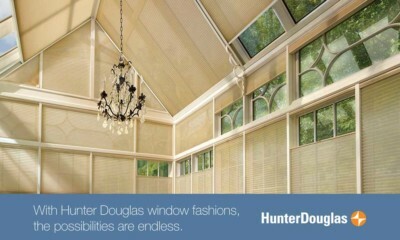 Visit our Hunter Douglas Promotion sales page for full promotions and discounts on Hunter Douglas in Calgary. Ends April 30, 2019. 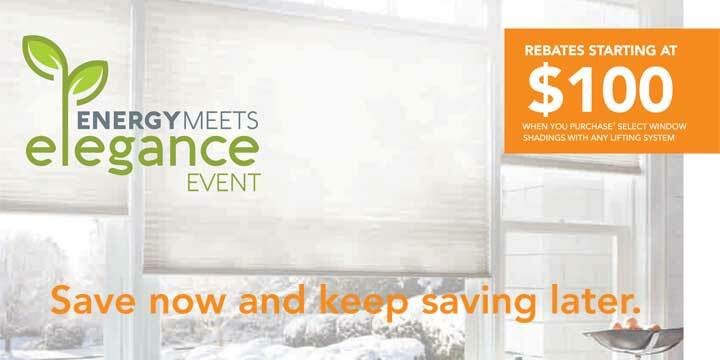 When Sheila’s Window Toppers clients purchase a minimum of 4 Duette or Sonnette cellular shades with any lifting system they will receive a $100 rebate. An additional $25 rebate will be issued for each additional Duette or Sonnette purchased. Valid at Sheila’s Window Toppers in Crowfoot NW Calgary. Sheila’s in Crowfoot N.W. offers a full line of curtains and window coverings including blinds, shades, shutters and much more through our Hunter Douglas showroom and in home consultation service with in Calgary and area. 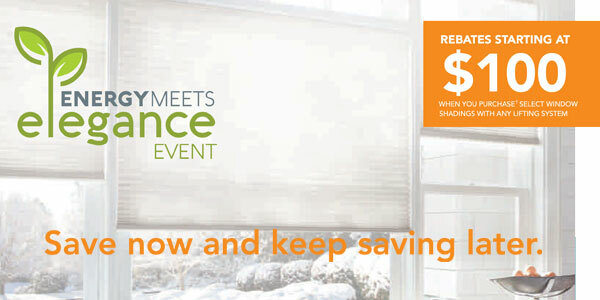 The best blinds sale in Calgary this Winter. 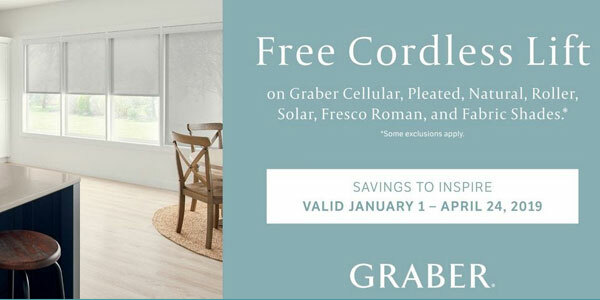 Combine our special sale prices with the Free Cordless upgrade for a Limited Time Only. Blinds Sale for a Limited Time Only. Calgary can take advantage of a free cordless lift upgrade with Shade-O-Matic honeycomb shades — helping you stay more child safe and pet friendly. Not all cellular cordless shades are made equal! 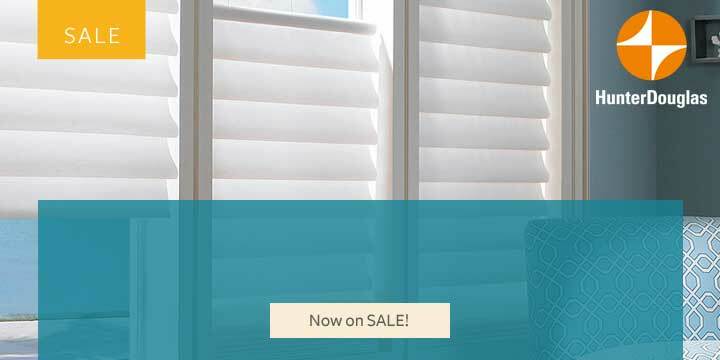 See More Calgary Blinds Sale. 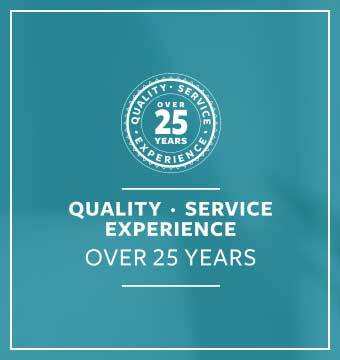 Join Our 10,000+ Happy Customers Over 25 Years! Visit our Calgary NW Showroom For Quotes on Blinds and Shutters. Shop With An Award Winning Company! 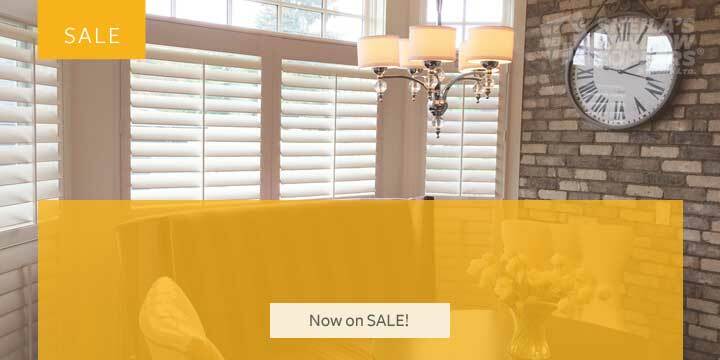 Purchase your blinds and shutters at Sheila’s Window Toppers in Calgary NW Crowfoot! We explain to our consumers, that cheapest blinds are not always the best product when purchasing window coverings. 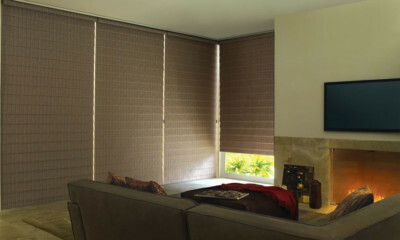 Let us know your budget for blinds, so that we can price the right product for you. Our prices are as competitive as the big box stores and on entire home orders our prices are often lower…our customers tell us so!!! When comparing prices, you will always find more expensive prices and perhaps a cheaper price. However, the cheapest price is not always the best because lower prices usually means little or no warranty service when you need it. Companies selling window coverings at very low margins are here today, gone tomorrow. Our competitive prices also comes along with superior product knowledge, precision laser measuring, and expertise to find the best product for your needs and budget. We greatly appreciate customers that bring their measurements into the store, so we can select blinds, shutters or draperies so we can give prices until a product is found that fits within your budget. We offer FREE In-Store pricing. Once you are ready to take the next steps and have selected the desired window coverings to fit your budget we schedule a window coverings expert to your home. We will bring Hunter Douglas fabric samples to your home for you to select colours under your home’s natural lighting conditions and take precise laser window measurements. This enables you to colour coordinate your selections to match such things as wall paint, cabinetry colors, carpet, tile or hardwood flooring. These are all factors on how your window treatments will look. If you already have a product in mind, such as Hunter Douglas Duette, Silhouette, Pirouette, Luminette or Shutters, you can also measure your own windows to get a quote over the phone or drop by our Showroom for a quote. Some people prefer to measure & install themselves. If you prefer to do it yourself, see our measuring guide to find out how to take proper measurements for Hunter Douglas Calgary window coverings. Our Hunter Douglas showroom is open for everyone in Calgary and surrounding area, including Airdrie Blinds, Chestermere Blinds, and Cochrane Blinds residence. Sheila’s Window Toppers is a Registered Trademark. My name is Sheila and I have been in business with my husband Loren since 1991. 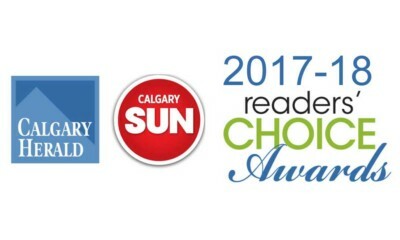 We have been in Calgary for over 25 years, we are a storefront, and have a great reputation. We are committed to customer service, we are not home based or operating out of a van, so you can feel secure when your order is placed with us, a Hunter Douglas ShowCase Store for your window coverings and More! Our son-in-law has recently joined our team to expand our family business. This business is distinct from and not in any way affiliated with Sheila’s Drapery.